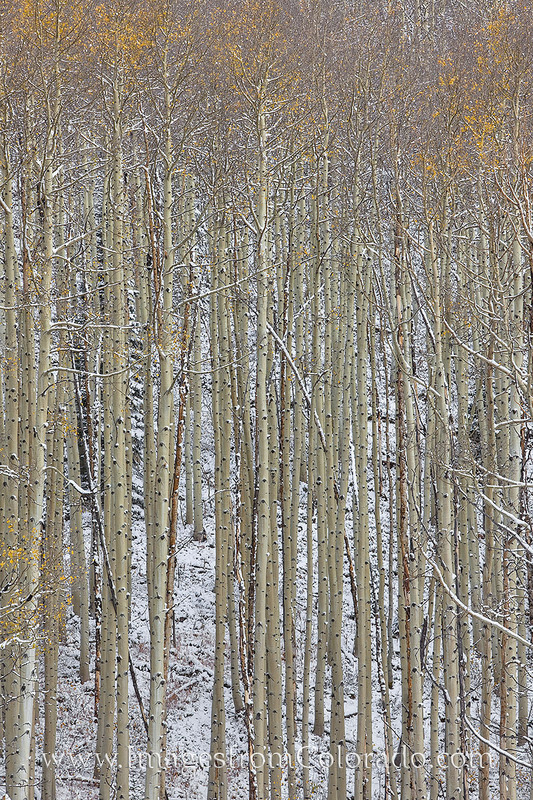 In late Autumn, aspen trees have a dusting of snow on the branches and limbs. This cold photograph was taken in the Maroon Bells Wilderness late in the morning of a quiet October day. Photo © copyright by Rob Greebon.